Hurricane Harvey brought record rainfall, unprecedented flooding and tremendous property damage to the Texas coast. There is no “bright side” to an event that ends lives, destroys homes and other property and leaves destruction in its wake. 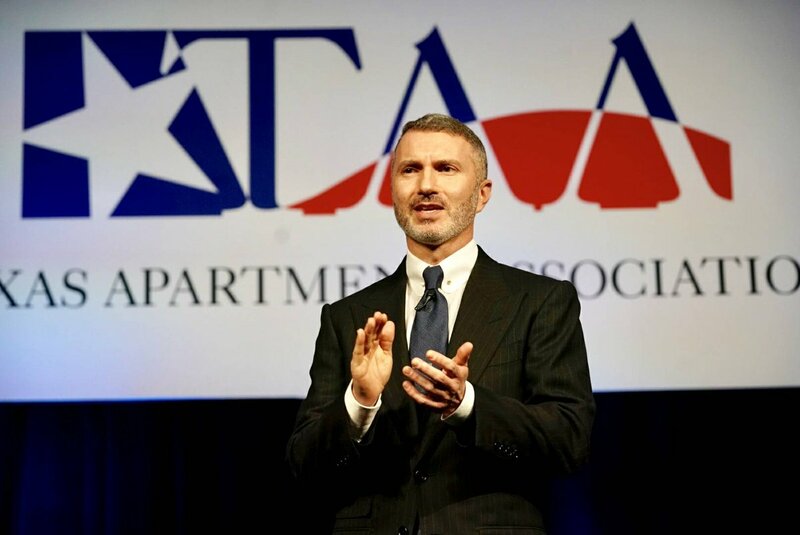 But we’ve heard some inspiring stories of Texas Apartment Association members helping their neighbors and fellow Texans. Here are just a few. Edward Randall, who joined the Allied Orion Group’s Oaks at Timberwood team just this summer, clearly put the property’s residents first during Hurricane Harvey, in spite of his own personal tragedies during the storm. According to a five-star Yelp! review posted by anonymous residents, Randall “…walked in high water to help residents, pushed cars out of the water, cleaned out drains, went to check apartments, gave out food that he had, gave his personal (cell) number…” while the leasing agent’s own apartment was flooded and one of his family members lost her life during the storm. Matthew Haines, an independent rental owner and principal of The Tangent Group, LLC, flew his private plane on numerous missions over several days into Conroe and Beaumont to deliver about a ton of supplies to those communities. He also transported a Salvation Army volunteer from Conroe to San Antonio. The effort was part of “Operation Airdrop,” more than 160 private General Aviation airplanes that delivered more than 250,000 pounds of supplies to communities along the coast over a 10-day period. All of the plane owners volunteered their services and received no reimbursement for fuel or other costs. The group also mobilized efforts to support relief work in Florida following Hurricane Irma. Debbie Sulzer, Texas regional vice president for Francis Property Management, took an unusual approach to protecting the company’s 7 Seventy property after the release of water from the Addicks and Barker reservoirs west of the city. With the release of the water from the reservoirs, 58 of the 77 ground-floor apartments and the leasing office were flooded, an evacuation was ordered and the property’s residents left. The Corps of Engineers and the mayor said there could be several weeks of flooding in the area due to the releases from the reservoirs, and FEMA recommends properties flooded for more than three weeks be taken down to the slab and rebuilt. With that in mind and approval from company principals Austin and John Francis, Sulzer brought in a water-filled dam to surround part of the property, and Austin Francis worked day and night keeping pumps running to pull water away from the building. With the dam in place to block new flooding, electricity could be restored to the three-year-old luxury four-story midrise, clean up and repairs could begin and residents could get back to retrieve and assess their belongings. This was the first time the water-filled barrier, the Aqua Dam, had been used on a multifamily property in Texas. “…(on) September 6th, one of our residents named Helen visited her apartment for the first time since the storm. Helen was very uneasy and nervous about going to her apartment. Candy (the Provisions Property Manager working with the team) told Helen that she would go with her as Candy could tell she was upset. Helen’s apartment had been completely submerged in water from Hurricane Harvey. Upon entering the apartment, Helen began to buckle at the knees at what faced her. Everything was ruined. Nothing in her apartment seemed salvageable. Camp workers moved what was left of Helen’s belonging all around as to allow her to walk through, and at least get closure that everything was destroyed. They gave Helen her space, and allowed her plenty of time to rifle through any items she chose to. They were ready with bags to bag up whatever she could possibly take. Helen took nothing. Helen told Candy she was looking for her jewelry pouch that she misplaced while evacuating in waist-deep water. We looked for the jewelry pouch to no avail. The jewelry in the pouch had Helen’s great-grandmothers’, grandmothers’, mother’s and her jewelry, that she wanted to pass on to her own daughter. Helen was again devastated. It was not found. Helen and Candy came back to the leasing office and shared some tears over what she was leaving behind. “…A few hours after Helen left, this amazing woman and her co-workers came to the office to let me know they thought had found the jewelry pouch. As you can imagine, Candy called Helen as fast as she could and she came back out to Tree Tops. Every piece of jewelry was still in the pouch. Loose diamonds, rings, earrings, pearls, a ring Helen’s mother gave her when she was 16, and everything was in there. It had not been disturbed. Again, Helen and us had a cry fest as she delicately pulled out piece after piece of jewelry and told us the history behind every item. She said to me, ‘Candy.. I feel like I have won the lottery.’ With tears streaming down her face. Camp Construction made this happen for Helen. Thank you, Claudio Silva Porto, for finding the missing jewelry pouch and giving it to your foreman, Shantel Montiel, who it turn took it to the Tree Tops manager so it could be returned to Helen.